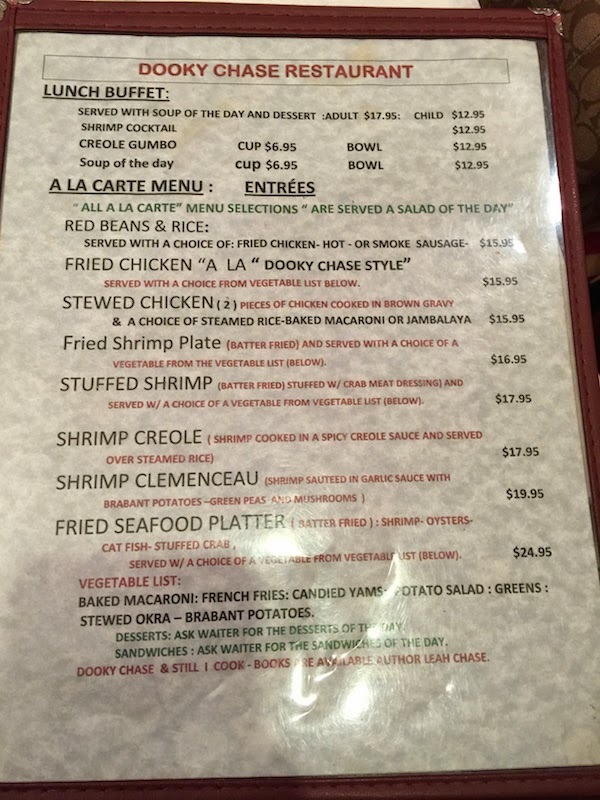 Yesterday we took the streetcar up Canal Street and jumped off at Galvez in the Treme district for the short walk over to Dooky Chase's Restaurant on Orleans Ave. in New Orleans. We got there a little early for the lunch buffet, and at opening time the front door was opened by none other than Dooky Chase himself. He thanked us for coming to his restaurant. The dining rooms are decorated with modern art and appointed very nicely. The lunch buffet is partly served to you by your waiter. The waiter brings you the soup (gumbo) and the dessert, and you serve yourself everything in between from the buffet line. 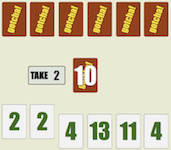 I like this system because it keeps things civilized and no one is crowding the buffet line or elbowing to get at the food. 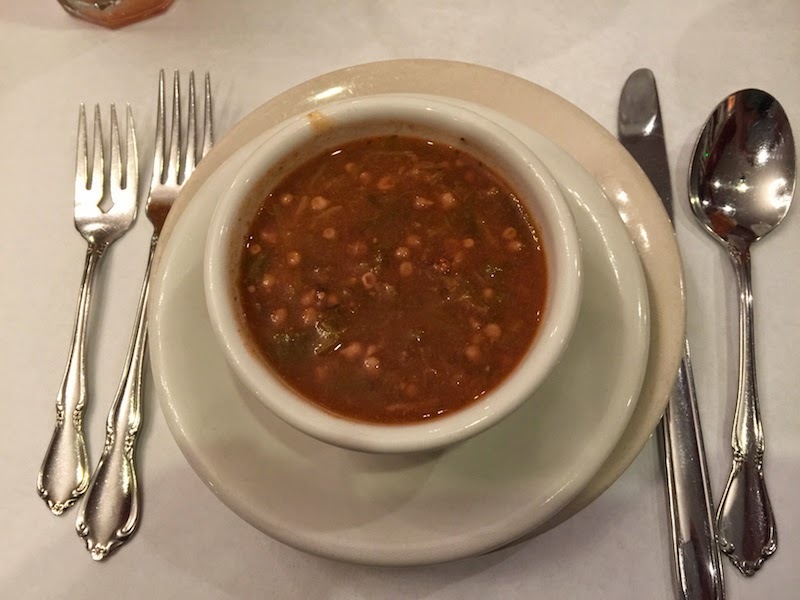 The waiter serves your soup, which today was gumbo with okra and shrimp. It was a little spicy, and very delicious. My wife called it the best gumbo she's ever had (and she's tried -- and cooked -- a lot of gumbo). The fried chicken is what Dooky Chase is probably best known for, and it is indeed quite a treat. The pieces are juicy throughout (even the breasts) but they are not greasy. The batter is flaky and light. It was hard trying not to eat too many pieces of the fried chicken, and we were absolutely stuffed when we left. It's a good thing we had some walking to do afterwards. The spicy sausage was my favorite item. They are hand-made at the restaurant, and tasted like the spiciest item on the menu. The casings are very thin, and there is not any grease. These are just solid meat. The lima beans with shrimp were perfectly cooked and delicious. The fried catfish was also wonderful (no surprise since the fried chicken is so good), although the ham was a little too dry for my taste. 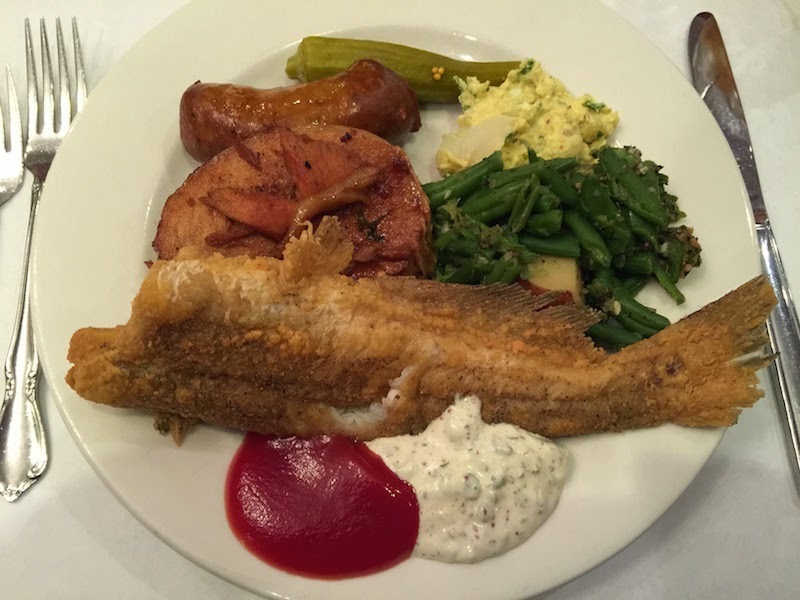 There is also a section of salads and such on the buffet, including potato salad, pickled okra, and green beans. The potato salad and green beans were especially good. And of course, there is macaroni and cheese. It used sharp cheddar cheese and was excellent. After serving yourself from the buffet brunch, and eating all you care to, let the waiter know when you are done and he will bring out your dessert. 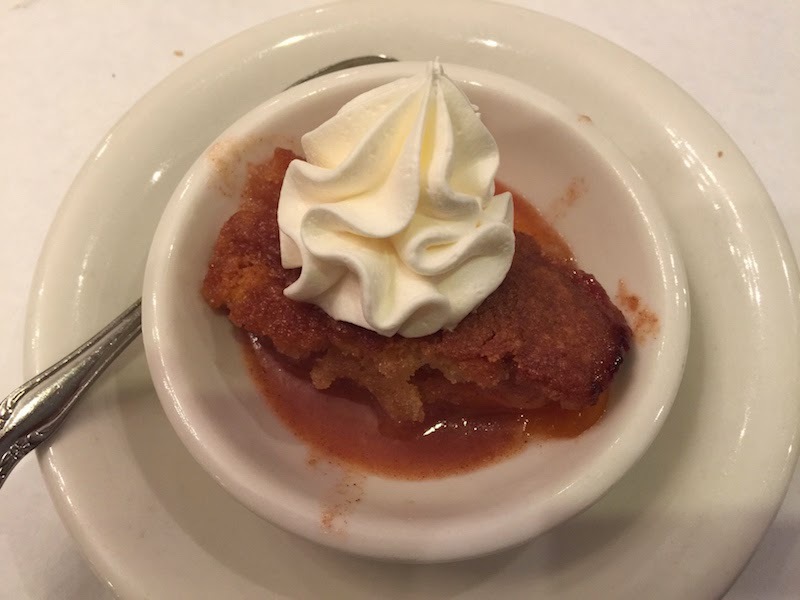 Yesterday our dessert was peach cobbler with fresh whipped cream. It was light and sweet, and the perfect ending to an excellent lunch buffet. 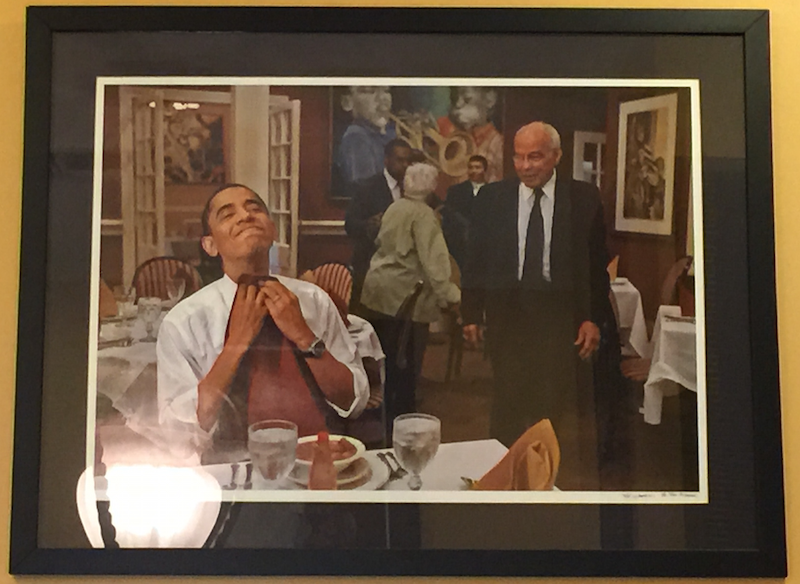 The wait staff is very friendly. 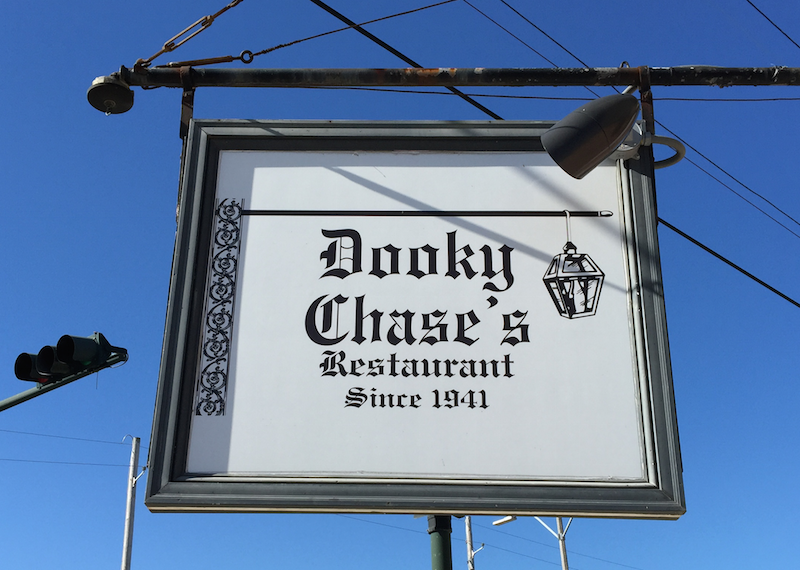 Everyone was asked where they were from, had they been to Dooky Chase's before, and how did they enjoy the food. The buffet is only for lunch, and only Tuesday to Friday. You can also order off the menu. We'll be back on our next visit to New Orleans! The TV food show where I saw Dooky Chase's Restaurant was The Layover with Anthony Bourdain on The Travel Channel. 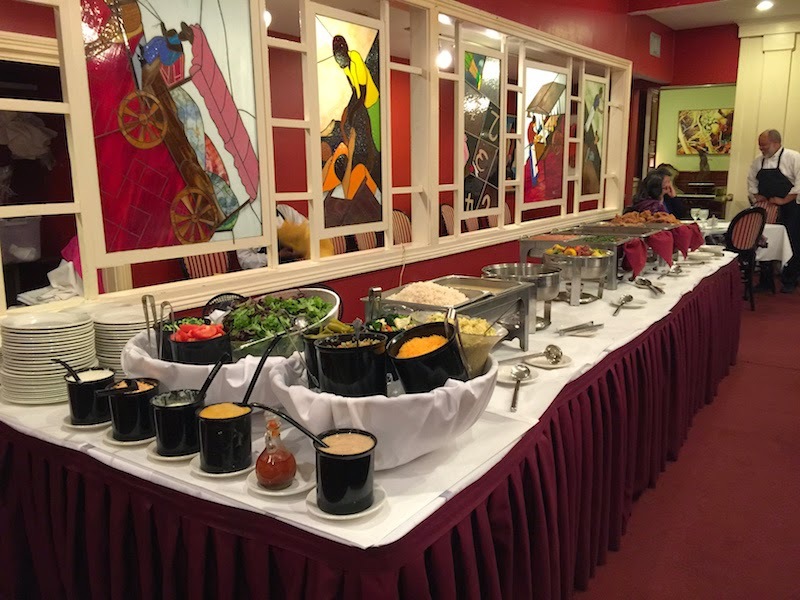 What is your favorite buffet? Let me know in the comments below. 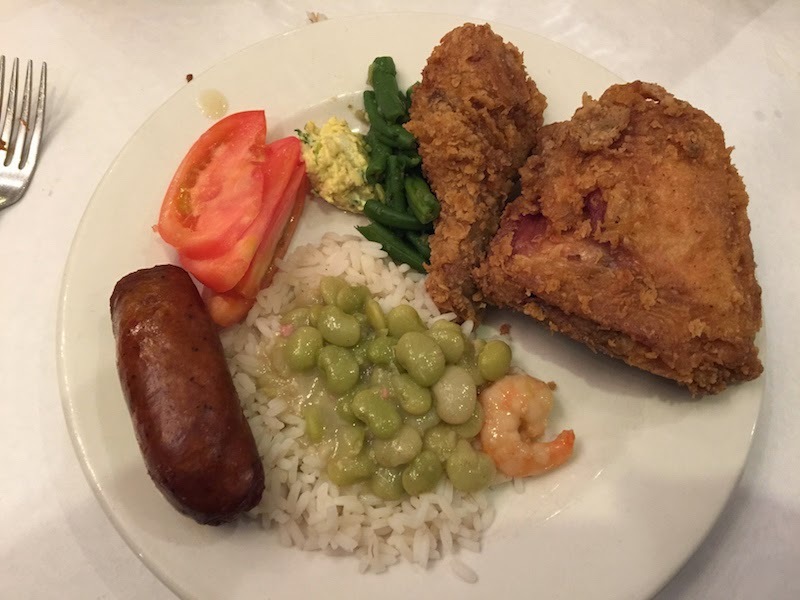 Be sure to check out my review of another great soul food buffet: Souls Restaurant.